Garbage Disposal FAQs - 15 Questions, Asked & Answered. What items can you put in garbage disposal? What’s the difference between continuous & batch feed? Why does my disposal smell? Do you have to run water when using it? Can I call someone to help with installation? Why is my disposal humming / buzzing? Where is the reset button on my disposal? Can I use a disposal if I have a septic system? Who do I call to repair a disposal? Where can I buy a garbage disposal? A garbage disposal is a motorized appliance installed underneath your sink that allows you to finely grind food waste into small particles that can be safely disposed of down your drain. A garbage disposal is really just a simple demonstration of Isaac Newton’s laws of motion. The moment you turn on your disposal, a small plate at the bottom of the “grinding chamber” starts to rotate at high velocity. On this plate, you will find two impellers. 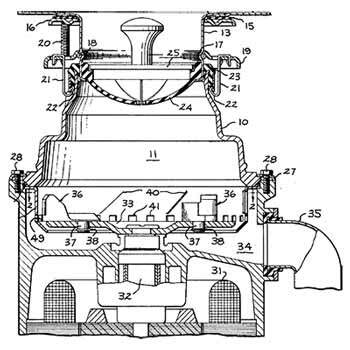 These are essential components, as they help create the necessary centrifugal force that propels the scraps of food against the internal wall of the chamber. This wall grinds the food down into tiny particles that can flow down the drain. Contrary to popular belief, most homeowners believe that a garbage disposal works much like a blender. While they indeed have many similarities, this is factually incorrect. There is no chopping, cutting or chewing involved in the process. In fact, a garbage disposal doesn’t even have blades! This animation provides a great visual explanation of how a disposal works. This is a question with an impossible answer. Every homeowner will have different needs based on their unique situation. To find the right size disposal for your home, you should first consider how much power you will need. This can be determined by considering a few factors. How often will you be using the disposal? What kind of food do you currently prepare, and how much waste does it create? Generally, the more people in your home, the more often you’ll be using the disposal, thus the more power (or larger size) you’ll need. However, you should also consider the types of food waste that you’ll be putting in the disposal, as well as the volume you think you’ll create. Note: When it comes to garbage disposals, the term “size” refers to power, not the actual dimensions of the unit. Another important consideration, but one that is unlikely to affect your buying decision, but does play a role in the installation. This is a great question that more homeowners should be asking. A common misconception is that anything and everything can go down a garbage disposal. In reality, there are a number of items that should never be put down a disposal. This includes the scraps of many popular foods. Note: If you have a large, powerful garbage disposal from a reputable brand, then some of the items listed above would likely be okay to put into the unit. However, to prevent possible problems and ensure your garbage disposal has the longest life, it is recommended that you avoid the items above. There is likely food waste inside the grinding chamber that is starting to rot. It may be that you didn’t grind your last batch long enough, or perhaps there is food stuck inside the unit or not flushed down the drain properly. To eliminate these odors, you should run plenty of cold water into the unit and turn it on. Allow it to fully grind and flush all items inside the chamber. Next, you should thoroughly clean your disposal to eliminate all bacteria that may be lingering and contributing to the odor. These are the two types of disposals you will choose from. Here is a general summary that highlights the differences between the two. The most common type of disposer found in homes, these are considered to be effortless and simple to use. All you do is turn on the cold water, flip the power switch and add your food scraps. You can continue to let the unit run until all food waste has been grinded and disposed. Slightly more difficult to use, this type of disposer only allows you to grind food in smaller batches. In order for these to work, you must use a stopper to activate the power. Without the stopper, the device will not work. While they require a bit more work, they are considered to be the safer option. This is entirely dependent on your situation. Like most appliances, they each come with their own set of pros and cons. Do you need to run water when using a garbage disposal? Yes. It is recommended that you run the water while you operate the disposal. This will not only help the device grind your food waste, but also guide the small particles down the drain and prevent potential problems, such as a clog in your pipes or within the disposal. When you are grinding food waste, you should always use cold water. This will prevent the fats within your food from liquefying, which may create a clog when the temperature cools and these fats once again solidify. By running cold water, you keep these fats in a “solid” state, which makes it easier to grind and eliminate. When you are cleaning your disposal, you can use hot water. However, this is dependent on how you are cleaning it. If you are using cleaners, such as vinegar, baking soda or citric acid, hot water will be fine, perhaps even helpful. However, if you are grinding food — such as citrus peels — to help clean the disposal, then you should stick with cold water. While there are some general commonalities that are helpful to know, there are no specific set of installation instructions that work for every garbage disposal. It is always recommended that you refer to and follow the owner’s manual that came with your disposal for precise installation instructions. 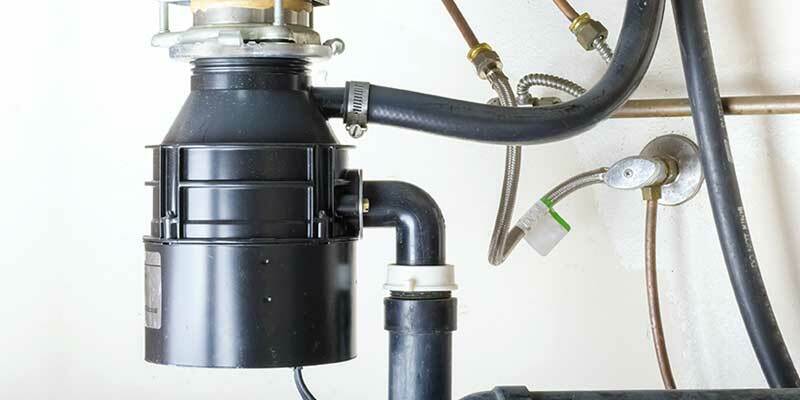 The installation process for replacing a garbage disposal is a somewhat complicated project for the average homeowner. If you’re relatively handy, you will likely have no trouble doing it on your own. However, if you are not confident in your plumbing skills, it would be best to hire somebody. If you are adding a disposal as part of a kitchen remodel, the installation process is going to be significantly more difficult than a simple replacement. Still not impossible for your average DIY homeowner, but you’ll now have to consider the cost of wiring and other possible electrical needs. It may be wise to hire somebody. Absolutely! There are plenty of handyman, plumbers and other general contractors out there that will do this job. Just make sure you do your research and hire only a qualified, certified and licensed contractor. If you decide to go this route, make sure you read these tips from the FTC first. Depending on the retailer that you bought your garbage disposal from, they may offer installation services. Likely, this will include an extra charge, but it’s well-worth the security of knowing that your unit is installed correctly, by a professional. Yes… and no. This is hard question to answer, really. The overall decibel level will vary from model to model. Because it’s a motorized appliance, all garbage disposals will create some level of noise during operation. Much of the noise is due to the vibration created while the disposer is being used. If noise is something you are concerned about, then you should look at buying a garbage disposal that has built-in insulation and anti-vibration features. Some manufacturers will also list the decibel level within the specs of each model. Why is my garbage disposal humming / buzzing? A common problem that homeowners may experience, this humming sound occurs when the disposal is clogged or jammed by an object inside. The unit is still receiving power when you try to operate it, but unfortunately, it is unable to grind food because it is jammed. You do NOT need to call a plumber for this. It is a relatively easy fix that should only take a few minutes. Find the owner’s manual for your disposal. Look for instructions on how to troubleshoot this humming problem. If you can’t find the owner’s manual for specific instructions, then you should carefully try to unjam it. Get the allen wrench that came with the unit, or find one that will work. Crawl under your sink and look for a small hole that fits your allen wrench. It will be hexagon-shaped. Insert allen wrench and turn. This should unjam the unit. Plug in and turn it on. Note: These are general instructions to unclog your garbage disposal. It is strongly recommended that you follow the instructions that the manufacturer provides for that specific model. The reset button on your disposal is located at the bottom exterior of the unit. It is likely red, but this could vary. Please refer to the owner’s manual to understand how to properly use the reset button on your specific disposal. You may disturb the balance of bacteria within the tank. You fill up the tank quicker, thus have to pump it more frequently. You may inadvertently cause problems with the tank, which may lead to costly repairs. 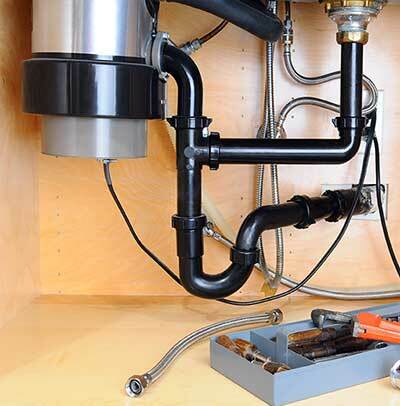 A plumber will be your best bet for repairing a garbage disposal. However, depending on what the problem is, you may be able to repair it yourself. Before you call and hire someone, try to troubleshoot the problems and determine if you can fix it on your own. For example, a clogged disposal is an easy fix for homeowners to do on their own. But, if the disposal is leaking, then you should turn off the water and call a a plumber. You can buy a garbage disposal from a wide variety of retailers, including both online or inside a store. Before buy the first disposal you find at Home Depot or Lowes, we would recommend browsing your options online and narrowing down which model would be best for your home. You don’t have to buy online, but you’ll at least have comfort in knowing that you made an educated buying decision. disposal not working. it is on a switch with an overhead light. the lite is working okay, but the disposal is dead.